See our locations and and borrowing pages for more details. 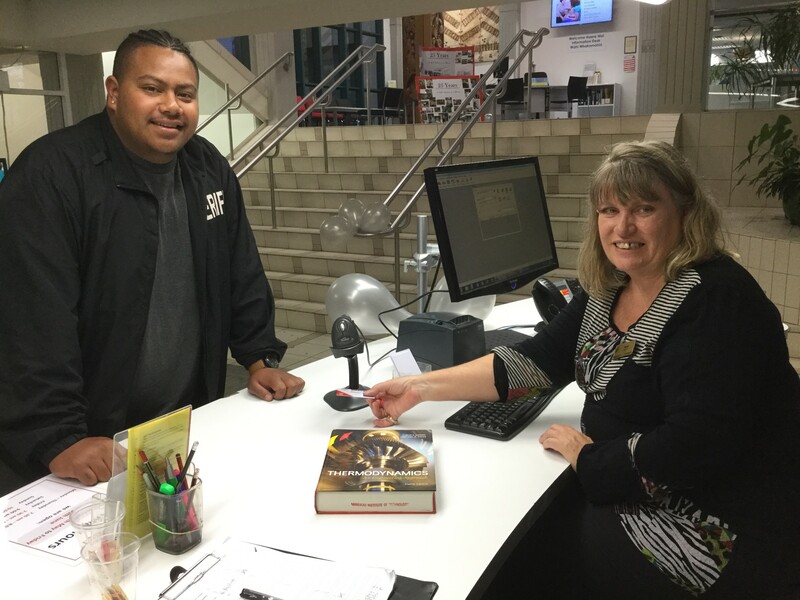 All staff and students of Manukau Institute of Technology (MIT) have automatic membership to the MIT Libraries. All that is required to borrow material is your current MIT ID card. To log on to our databases or use the computers and laptops you will need your MIT user name and password. Any MIT student in between courses, who wishes to use the library over the summer, may apply for summer borrowing rights. This allows you to borrow up to 10 items at a time. It does not include the use of computers, laptops or WiFi. To qualify you need to fill in a summer borrower application form and have it signed by a lecturer or administrator from your Faculty. The general public are welcome to become members of the library as external borrowers. The cost is $110 per year or $60 for six months. External borrowers are entitled to borrow up to 10 items at one time from the General Collections at the Main Library, Otara Campus and Manukau Campus Libraries. See our home page for details of locations and library hours. Loan periods are three weeks for most items and one week for some frequently used items. Services that are not available to external borrowers include computer access, electronic resources, database access and inter-library loan services. To join the library please fill in the external borrower application form and bring it into the library. Students and staff from Unitec are able to borrow from the MIT Otara and MIT Manukau Libraries. To apply, bring along the ﻿MIT/Unitec Library membership application form below to the Lending Desk along with your current student/staff ID card. Students and staff at MIT can also borrow from Unitec Libraries.